Fruit is part of the healthy diet, and it’s good to do some simple dishes with fruit, especially canapés or salad. Today, I am going to talk about two dishes with pear. The first one is a simple canapés that you can simple get it done in 10 minutes. 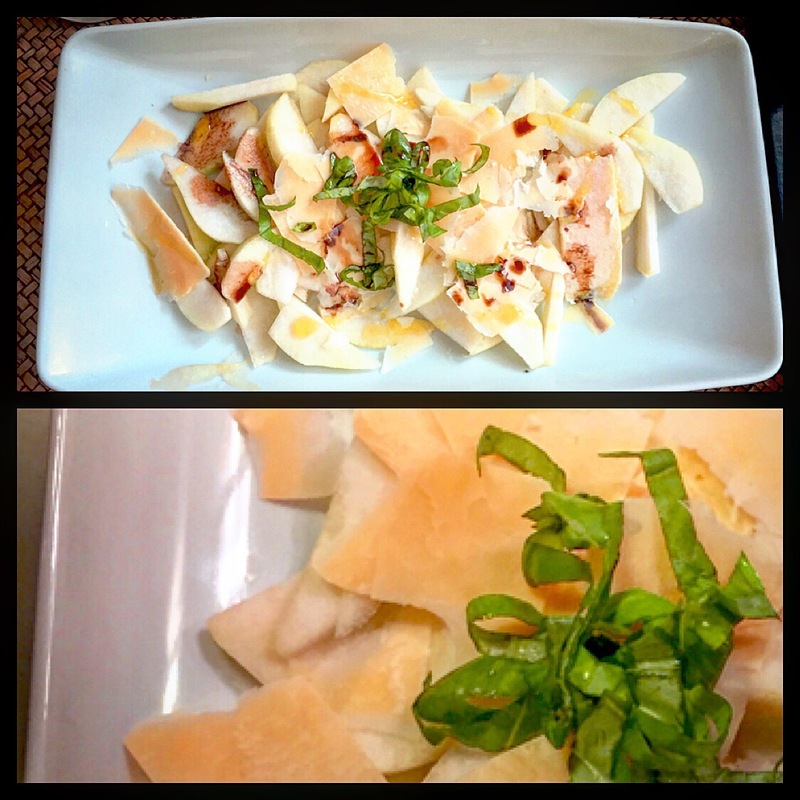 All you need is pears, lemon, arugula, prosciutto and cheese, choose the kind of cheese you like, as cheese sometimes could be very personal. Some people like to go with the blue cheese, but some might think it’s a bit too strong. I like parmesan cheese most of the time, so it’s up to you, and I feel the pear can kind of go nicely with any kind of cheese. So, just cut the pear in wedges, and splash a bit of lemon juice on them to add the flavour. 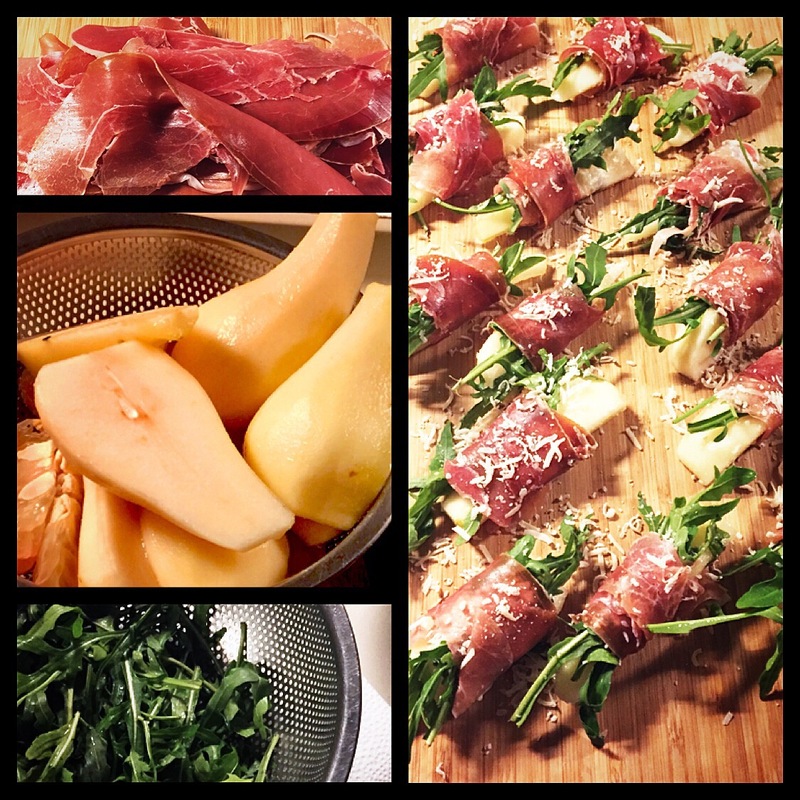 Then, simply just use a piece of prosciutto to wrap the pear with some arugula and a bit of the cheese that you like. Isn’t it so simple? If this one is simple, the next one will be even more easy! This one I ate in Italy one time and I just love it, love the simplicity of it, but yet so tasty. Just simply cut the pear into slides and top it with parmesan cheese in thin slides, and finish it with a bit of basil on top. Season it with olive oil and balsamic vinegar. That’s it! How simple but lovely!